Hi there, and welcome to No More Waffles! Thank you for stopping by! No More Waffles is the internet moniker of a 26-year-old guy from Belgium – yes, I get the irony of my blog’s name. I’m pretty much your average millennial: during the week I work in busy Brussels, while I unwind with friends and enjoy video games in the evening and during weekends. As you may notice when browsing through my archive, I am also a tech enthusiast. Oh, and I enjoy all things personal finance, obviously. Although most of the above has nothing to do with my blog or its name, Brussels sets the stage for its genesis. Indeed, when I was fresh out of university and had just started my professional career, I noticed something peculiar. Every day when I left my office I passed this tiny waffle stand – again, insert mandatory Belgian waffle joke – at which a lady would buy a tasty chocolate waffle with tons of whipped cream on top. Every day the same 40-something lady. It got to the point that every time I got off work I would wager myself €1 she would be there doing her thing. Sadly, these wagers didn’t turn out to be as lucrative as I had hoped. At first I was mainly amazed and entertained, but soon it dawned on me that she had to be spending a fortune on those things. At €4 a pop, five days a week, she cultivated a seriously expensive waffle habit, at least in my view. Furthermore, I started to become annoyed by the fact that she was clearly overweight, but still stuffing away those gargantuan calorie bombs. Especially because her waffle routine didn’t seem to bring her any joy. While it was not my place at all, I barely kept sudden urges to walk up to her for a talk in check. That’s where this blog comes in. Apparently, the internet is full of people that feel the same way I do! Right around the same time I stumbled upon some of the more popular frugality, passive income, financial independence and early retirement blogs on offer after looking for some tips on how to track my own budget and spending pattern – think Mr. Money Mustache, The Bogleheads, Dividend Mantra, Early Retirement Extreme and the like. Why not do the same as these personal finance rock stars? Instead of giving that lady in Brussels a “no more waffles for you” lecture, I decided to invest that energy in this No More Waffles blog. As a result, the purpose of No More Waffles is twofold. First, blogging provides me with the opportunity to vent my thoughts on popular frugality and financial independence concepts as I experience them daily and look at people around me. In a blogging scene that is mainly US focused and dominated, a European perspective could put an interesting twist on established beliefs and approaches for readers. Second, I wish to use No More Waffles as a way to hold myself to the “no more waffles for you” standard. Accountability, walk the talk, call it what you want, but by putting my personal goals out there I hope to motivate myself to actually achieve them. Personal goals, you say? Exactly! I aim to live a financially secure life and achieve financial freedom by the time I turn 40 by saving at least 50% of my income and investing those savings long-term. At the time of writing that’s exactly 15 years from now, a very ambitious objective. By cutting unnecessary expenditure out of my life I truly hope to reach my goal and enjoy what I value most in life instead of having to offer up my valuable time for a regular monthly paycheck. Please feel free to drop by once in a while to see how I am doing. Hopefully we can exchange some empowering ideas and motivate each other in reaching our financial goals. Maybe we’ll even meet on the road to financial freedom! Congrats on starting your blog – I think that writing down your goals and documenting your journey is a great way to motivate, learn and succeed! Wishing you all the best on your journey to financial independence! Thanks for visiting! Great to have you here. So far keeping a blog turns out to be a great idea! I’m more motivated than I ever was to reach financial freedom. Hi there NMW. Now that I know the story behind it, I L-O-V-E the name you chose for your blog. The story also made me think of the Seinfeld “soup Nazi”. Was that intentional? Looks like you are off to a great start in life. I was on the FI path before I knew anything about an FI online community. How wonderful to have these resources, and add your own experience to the mix, at 25 years of age! I hope you have a blast with this blog. All the best to you. I’ll be back often. Thanks for the awesome comment, completely made my day! I’m glad you like the name of my blog, most people just find it confusing. Never heard about the Soup Nazi before, but I’ll definitely check out that episode of Seinfeld! Looking back I could have done better, but I’m still extremely happy about where I currently am financially. The online financial independence community has really opened my eyes and shown that is actually possible to retire early. I always toyed with the idea, but thought it was impossible. How wrong I was! Nice job on the name. I was just so curious when I saw the name and had to check it out. Looking forward to seeing your investment income grow. Haha, glad you like it! Most people are confused and don’t even bother to read my about page. I’ll try my best to grow my investment income as fast as possible! Nice to have you here! We need more Europeans in the financial independence game! great to see another young guy from Europe blogging about financial independence. Seems like there are more than I thought. You’re right! Great that you’ve found my blog; I love meeting like-minded Europeans. You can expect to see a lot of activity on your blog the next couple of minutes. It seems there’s a lot of intersting stuff there already! Welcome to the FI world. It’s great that you’re still very young and so motivated to reach FI. I look forward to popping by and checking on progress! Thank you for stopping by and for the kind words! Glad to be a part of the online FI community. I never expected everyone to be so supportive and caring. It has motivated me even more to reach financial independence. Congratulations on your blog! I look forward to following along. You remind me of myself at your age (many decades ago before FI (as a concept) / internet etc.) existed – I was basically on my own. Still I successfully reached FI many years ago. ps. have downloaded your spread sheets – they look great! Very impressive that you reached FI all on your own without any outside information. I know I had some ideas floating around in my head that could be considered FI, but no way I would have figured everything out on my own. That’s why I’m tremendously thankful to this community. Your suggestions is something I’m definitely not forgetting! I like having fun too – and fun often costs money. I wrote a post on “My One Rule for Financial Independence” which captures my ideas on the matter. What’s the point of being FI if you can’t enjoy life and friends. I’m glad you enjoyed the spreadsheets and hope they can be of use to you. Also, thank you for mentioning the mistake, corrected it. I am with you on the living idea. What good would all the money in the world if you are too feeble to spend it. We should save and enjoy and live life to the fullest. You’re absolutely right, Robert! Money doesn’t buy happiness. Glad to find out another European FI/ER blog!!! Loved the story about the waffles that brought this blog to life! I’m from Switzerland, 28 years old, and somewhat the same goals. Awesome! There aren’t many other Europeans out there, so I’m happy you found me. I’ll definitely check out your blog later today. Really curious to read about FI in Switzerland! I actually have a friend over there (Basel) and it seems manageable if you succeed in keeping housing costs low. You guys also earn much higher wages from what I understand, so that partly makes up for a high cost of living. You’re in my must keep up with blog reading list! I find new blogs everyday, so it’s no wonder you haven’t stumbled onto mine! 🙂 I’ll definitely check out yours, always fun to read the journey of fellow Europeans. Reaching FI while building a family definitely can be challenge, but if your both fully dedicated I’m sure you’ll reach FI! And don’t feel bad at 50… That’s still miles ahead of any of your peers. I am also a 25 year old who wants to achieve financial freedom as well! It’s nice to see other bloggers around our age that have made personal finance a big part of their life. Other 25 year olds I know are too busy out partying and blowing all their money away on non-important things. I’ll be following your journey on here! I stumbled upon your blog earlier today! Glad to find other young like-minded people out there. It seems we’re quite exceptional within our age group. Check back as much as you’d like, I’ll definitely be doing the same! NMW, congrats for setting your goals so early in your life. I was raised with no financial wisdom, and had to painstakingly discover everything on my own (took me more time than you, I started being financially wiser in my mid-30s). So kudos for setting goals that early ! Long live to your blog ! I’m glad you found me! It’s not often you run into European blogs, let alone Belgian blogs, on financial independence or early retirement. It’s true that other international blogs are a lot of fun to read, but many things just don’t apply. Better late than never, right? And 35 is still plenty of time to get things on track and enjoy high sense of financial security, both now and in the future. What are you aiming to achieve and how are you trying to get there? Thanks for stopping by and be sure to do so again in the future! 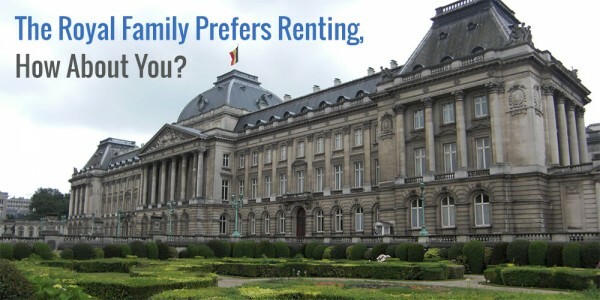 It’s fun to hear what the few other Belgian visitors think and have to say about FI. I’m glad to see other European interested in the topic too! @petzi: do you have a blog yourself? Would be interested in adding you to my European FI blogroll! @NMW: keep up the good writing and rythme! Studied / Lived in Beligum for 1 year (Louvain-la-Neuve) and very excited to get a European twist on F.I. ! I’m also 25 so I look forward to seeing how you go about your journey and how you choose to undertake problems that we young adults see often! Glad you found my blog then! It should be interested to follow along because you know what life in Belgium in life is like. I studied six years at Louvain-La-Neuve’s sister university in Leuven (the Dutch variant). I hope you liked it here? What did courses did you take? I’ve been following your blog for a while now, and I think it’s one of the best ones on FI. It’s refreshing to see a fellow European in this community, particularly as we’re basically the same age! Thank you for dropping by and for the kind words, much appreciated! I really love receiving these kind of messages from people my age and from Europe. Until not too long ago I thought I was the only person trying my hand at financial independence in Belgium and Europe. It’s great that you too get to start your journey at such a young age! We’ll both make quick progress towards early retirement if we give it our all, I’m sure of that. Do you plan on keeping your own blog? Would love to follow your journey. Couldn’t find anything through Google, but I sure do hope so. It certainly does feel like the vast majority or bloggers are from the USA or Canada… But we are proof that the community if present in Europe! Besides, It seems like most of the FI bloggers started their blogs in the last year or two, so I seem to have started as the trend is growing. I do have my own blog (dividendlegion.blogspot.co.uk) – started it only a few days ago. For some reason, the link was not saved when I commented above (I use blogger, and I logged in and everything…) but this time I’ve put in the site address manually when replying…hopefully it works! At the moment, my site is pretty poorly ranked in Google, still learning about SEO and general blogging. I’d love you to follow my journey! Nice to see some European dividend bloggers. 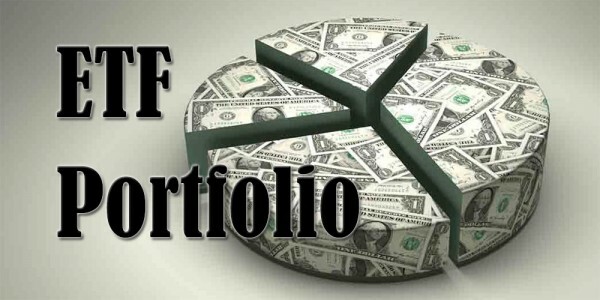 I started a global dividend portfolio last year. And the results were very good last year. I saw your The Euro Dividend All-stars list. Good work. My approach is nearly the same so I already own Michelin and Enegas. I don’t blog but post the results on my web-site (http://www.verstandig-beleggen.nl/index.php?paginaid=14) every 3 months so you an follow which companies I own. Good luck on your financial journey. It’s great to meet other Europeans chasing dividends, isn’t it? I keep meeting more and more people every day and it’s been a tremendous learning experience so far. I’ll definitely check up on your return and progress, keep it up! Great blog. Great to read about people having similar goals. I was wondering what your definition of FI is, in term of NW or other. Would that mean that you can cover (all) your current lifestyle (=cost in real terms) through capital income (cq dividends) by the age of forty? If so, what % do you think to derive from your capital? Defining financial independence is rather hard for me as my personal definition has changed over time. In the beginning I thought it was only about having enough money to never have to work again, but at the moment I believe it’s more of a mind-set and a process rather than an end-state. Nevertheless, if I had to say it in financial terms it would be that my assets threw off enough income to sustain my (current or future) lifestyle without any problems. Because I’m focussed on dividend growth investing it’s not so much my net worth, but the dividends that count. That’s why I find it really hard to answer your question “what % do you think to derive from your capital”. The beautiful thing about dividends is that you can actively monitor when they catch up with your expenses and go above them, like you stated in your first question. It’s really hard to predict the yield of your portfolio fifteen years into the future. I were to state a percentage like you asked, I’d go with a pessimistic view of a 4% income yield (after taxes) from my entire portfolio. I know this isn’t really an answer to your question, but I still hope you see what I mean. Wow, what a fast reply! I do see what you mean and in Dutch there is a saying that a fool can ask more questions than a wise man can answer (waarvan akte:). I always like to have clear goals, as that is the easiest way to track your progress. I think that 4% is fair, plus theoretically you can consume a part of your nw as well, unless you’d live 4ever. Clear and well-defined goals are essential to an undertaking like financial freedom, but at the moment there’s too much uncertainty for me. That’s why I have a general idea of where I’d like to get to and use yearly goals to push myself as hard as possible until I get a good grasp on the progress I’m making. If I were to keep my expenses as low as they currently are I’d need about €250.000 to throw off enough money at a 4% rate/yield, which should be more than doable in fifteen years. However, I don’t think my expenses will remain this low because having a roommate forever probably isn’t an option. Furthermore, my income will grow over time, offsetting the increased expenses. As you can see, my future is quite unclear. Dipping into my capital is something I’d like to avoid even though I won’t live for ever (dammit!). I don’t really care how much money there’s left when I die, but I don’t want the uncertainty of running out before I do. Hey No More Waffles. Great story. Like the name :). I’m glad you started this blog to hold yourself accountable and track your progress towards freedom. You’re doing fantastic for being so young. Life’s just so unpredictable but you have a plan so that’s half the battle. You’ll make it by 40 for sure and if not what’s the rush? You’ll be enjoying the dividends along the way, what a treat! Well I wish you happiness health and wealth. Keep it up and take care my friend. Life may be unpredictable, but with a little bit of luck and a good plan you can weather almost any storm, financial or otherwise. Even if I don’t make financial independence by 40, I’m still setting myself up for a great future! That’s one of the messages I hope people take away from my writings. Thank you for your kind words. I wish you and your family the same. Exactly! It’s always a lot of fun to meet new Europeans who are trying their hand at financial independence. Most other blogs and readers out there are from Northern America, which is a completely different setting from the European one we live in. It should be interesting for you to follow along and compare our progress over time as we started around the same time. Let me know if you have a blog of your own or keep track of your progress somewhere as I’d love to tag along for the ride! a very inspiring blog that you have. You have some great viewpoints into topics. Keep doing that. Reading all the blogs out there, I also started a blog. I hope it will help me to keep motivated and inspired. I just read the bio/about page ony our website. Looks like you could be a valuable addition to our community, especially for other Belgians out there. Hey NMW can’t believe I only just found your blog! Six years younger than I am and already in the FI game. At $16,000 you’re doing great already. I can’t imagine how far you’ll be ahead of all of us by the time you reach my age. Hi NMW – amazing how far you’ve come at only 25 years of age! I wish I had had your smarts when I was 25 years (which is a long time ago). With your attitude, I’m sure you’ll succeed. I’m off now reading your blog. Thanks, man, I appreciate the kind words! I’m really lucky to have started this young, mostly thanks to my upbringing and through sheer luck in finding some financial independence blogs. Indeed, I’m a single fellow. I don’t really see how a long-term relationship would change much though. Once you’ve got the frugal in you, it’s very hard to get it out. Financial independence is more about the mindset than the money anyway! Just stumbled upon your blog and it’s really nice to read about a fellow Belgian adept of financial independency! If I talk to fellow Belgians about MMM-ideas such as frugal lifestyle, and early retirement, they all respond that these concepts are only applicable in the US, and that it would NEVER be possible to retire early in Belgium, unless you win the lottery or inherit a fortune. It’s also nice to read about your attitude towards life, and that it shouldn’t be about being ‘cheap’, or ‘quiting the horrible job’..
anyways, I bookmarked your blog. Glad to hear there are more Belgians out there trying to become FI! I hope you achieve your goals. Your experiences closely resemble my own. An often heard argument is that we don’t earn enough, have to pay too much in taxes, and that we have to rely on our government pension for retirement. While certainly those things don’t help, we’re still talking about one of the richest countries worldwide… Anything is possible in Belgium if you want it to be. Man, a savings rating of 80% is amazing! It’ll take quite a lot of additional income for me to get up to that level – the jump from 70% to 80% is rather large. It’s good to hear you’re girlfriend is on board too so you can try to become FI together. Thank you for dropping by and taking the time to leave a comment. Hope to hear from you again! I just came across your blog and it’s a fantastic read. Unlike many of the readers here, I’m based out of Singapore, and I don’t save anywhere near the percentages mentioned here (mine is around 40% of base salary), but it is inspiring to see what others can do. More importantly, it is good to see that there are so many others who measure success in terms of independence rather than size of paycheck. I disagree with the posters who comment on saving less after having a spouse/children. Needs are all relative, and I’ve learnt to spend more wisely from my spouse. Actually my own savings rate ballooned from 0 to 40% with my spouse’s monitoring! Also amazing how much you can save by inactivity – simply not getting Swiss watches, sports cars or larger and larger houses will benefit your reserves. Compared to my colleagues, my spending on day to day items is similar, but by omitting the relatively useless large ticket luxury items, I save lots more. Thank you for the huge compliment – much appreciated! Saving 40% of your salary still is very impressive, especially when you give lots of charity! I’m not too familiar with the living situation in Singapore, but I bet not many of your fellow countrymen save as much as you do. Good thing you married your spouse, ha! It’s possible that my savings rate drops if I ever find a girlfriend, get married or have children, but who cares? I’ll still have my current built-up wealth to rely on and my good financial habits to fall back on. It could slow my progress towards financial independence a bit, but that’s not the end of the world if you get so much in return. I’m glad to hear you discovered the very same thing! Thank you for dropping by and I hope to hear from you again soon. I wish you all the best on your journey! My advice would be to set higher goals and boost your income by starting side hustles. My original goal was to reach FI when I’m 50. Now I’m 32, we have 2 kids and we are financially independent. Almost exactly 9 years after I started my first job. Wow, that’s mighty impressive! I’m definitely going to check out your blog to see how you boosted your income so much. I’ve been trying to do the same, but I’m running into the limits of time and our progressive tax system makes earning more increasingly difficult. I don’t know about belgium, but Germany seems to me (increasingly) as a tax haven for early reirees. I just wrot e a draft post (will be published soon) about how a family of 4 can earn over 32K a year without being taxed at all. If you factor in real estate and maybe some minijobs, your are over 40K and pay no income tax. Tax seems very high here as well but if you factor in all the deductibles and tax allowance…it looks great! Btw. would you like to come to FIWE 2016? Belgium is also rather friendly to retirees, but not as friendly as Germany, I think. However, in recent years taxes on dividend and fixed income have gone up, except for income from rental properties (music to your ears probably). As I already posted on your blog, I’d be delighted to make it to FIWE 2016! I am less fixated on real estate as I might sound. 🙂 I just want to diversify. Nobody knows how taxes/regulations will change in the coming years. I can also imagine selling all real estate and puting it somewhere else. In whatever seem better for that particular stage in our lives. So, unlike many other fellow bloggers, I am not preaching ONE thing. It’s about the mindset, about understanding happiness, understanding money an the fact that it’s only a tool (not a goal), it’s about being flexible and willing to learn forever. Nice blog! It’s cool to see the perspective of those working to reach financial independence from those outside of the U.S. We are on a journey to “tradeourlife” or consume less waffles 🙂 as well to reach financial independence and retire early! Check us out sometime at http://www.tradeourlife.com. Best of luck and we look forward to reading more from you. Thank you for the kind words. I hope you gain a good understanding of what FI in Europe looks like. The basics remain the same – save and invest – but some things just work differently! Best of luck on your own journey and I’ll be sure to check out your blog. Congratulations on focusing on the light side of the power which means living frugal and not “investing” in bank accounts – but investing in dividend paying companies or dividend etf´s. I am from Germany and enjoy reading your blog – i wish you the best of luck. I’m always happy to meet other Europeans since our community is very US-focussed and -based. A lot of other financial independence seekers seem to come from Germany too, very interesting. Glad to have you following along, cheers! first: congrats to your blog. As fas as I am aware Belgium is one of the very few European countries where there is no homegrown p2p lending marketplace operating (yet)? So does that mean that awareness for that investment possibility is very low or non-existant in Belgium? hi Wiseclerk, there is indeed no ghomegrown marketplace for p2p in Belgium. I for myself have experimented with Bondora but do not find the results very satisfying.. I have been reeding your blog btw..
P2P lending seems interesting, but there’s not really a market for it yet in Belgium. On top of that I have quite some questions with regard to risk/reward and the ethical aspects of it (especially when you go into high-yield territory). I think there’s not that much interest in it, but I could be mistaken. Belgians are typically a bit slower to adopt innovations and play it very, very safe when it comes to their savings. I saw the calorie bombs you Belgians call waffles for myself a few weeks in Brussels…my oh my!! Brussels is a pretty cool place, architecture is amazing and there are some hidden gems…bien que je connais l’histoire du manneken pis, c’est un truc que je trouve vraiment bizarre quoi! I totally get where you’re coming from, it’s surprising therapeutic to air one’s views on frugality, investing, etc. with like-minded individuals. I have attempted at gaining some in-depth discussions to this end in the real world, but many people (including family!) just aren’t interested. That’s their prerogative, so let it be. Very best of luck in achieving your financial goals in 2016 and beyond. Ha, did you try one of the waffles though? They’re really good! And of course you had to visit Manneken Pis in Brussels – probably one of the weirdest status out there. Glad to have you follow my journey and I’m looking forward to check out yours on your new website. So glad I found some fellow Belgians interested in FI. I discovered FI very recently and feel that I have “lost” the last 15 years (I am now 38). I could kick my 32-old self. Always made good money, good job, wife, kids, house and debt, and now I notice that I am hardly saving: the more I earn, the more I spend, mostly unconsciously. Don’t kick yourself in the head! It’s better to start late than never, so you’re doing yourself a huge favour getting your finances in order. I’m sure your 50 year-old self and family will be happy! Commenting from Malaysia! 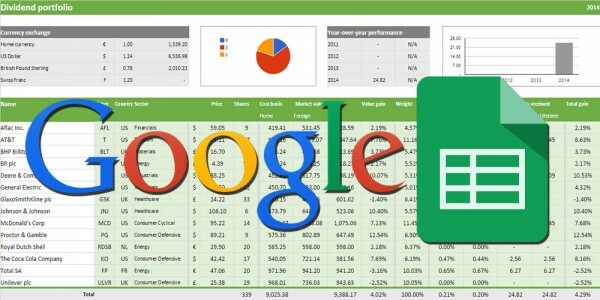 Stumbled across while looking to setup spreadsheet to track stock performance of KLSE (one of the comments mentioned it’s no longer supported in Google sheet). Anyway I just got into the world of reading financial blog and been reading quite anumber from Singapore. Would love to read more and have your European perspective here too! Cheers and keep up the goodwork! Cheers, Choong! Definitely try setting up a blog of your own. Even if no one reads it, it’s a great way to collect your thoughts and immensely helpful at the beginning of your journey. I just wanted to congratulate you for your blog and investments so far! I’m also from Belgium, and discovered your blog just a minute ago while looking into how to invest in ETF. I’m sure I’ll find plenty of interesting reads on your blog! Thanks for sharing your experiences and good luck. Thank you for the kind words and best of luck investing in ETFs! I was wondering how a Belgian guy like you thinks about investing in dividend (growth) stocks? I’m asking this because Belgian people have to pay 15% source tax and 30% resident dividend tax, which results in only 59% of the original amount. Isn’t it hard to retire on dividends only this way? Aren’t you guys better of by investing FULLY in capitalizing ETFs or very low yield (but high growth) stocks?